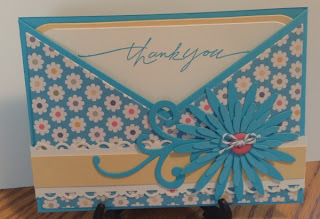 Diecut Diva: Criss Cross Card - A7 Coming Soon!!! Love the simplicity of this card. Its a basic card you fold up has a mat for the front and a tag for the inside. 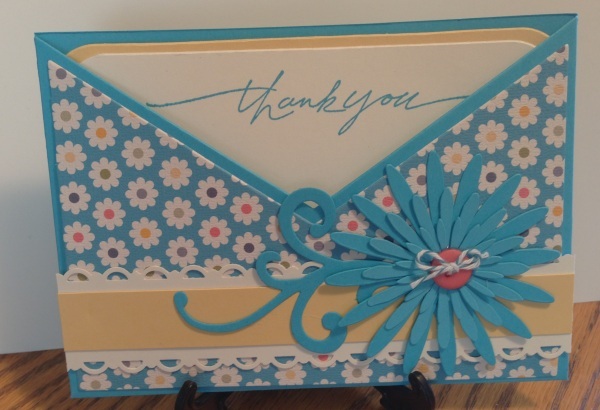 I used a border strip, some swirls and a daisy set with button to complete the outer layer. The inside tag I actually cut 2 of the same shape and cut off 1/4 inch and corner rounded the top of the one side and it was perfect mat added a strip of paper and Thank you. Slipped it in the pocket and I was done. Plenty of room for writing and a little bit of pizzazz too. 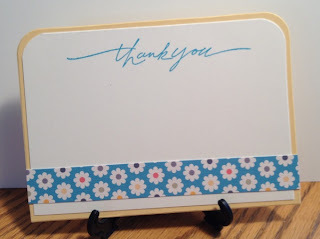 Love criss cross cards! Hadn't seen this one yet!